The Board of Directors of the Jewish Federation of Rockland County recently unanimously voted to increase funds earmarked for the RUSH Initiative (Responding to the Urgent Needs of Survivors of the Holocaust). The move will provide additional funds to support survivors in Rockland County who receive direct assistance from Federation’s beneficiary agency, Rockland Jewish Family Service (rjfs.org). More than 100,000 Holocaust survivors are estimated to live in the United States today, with one out of four living in poverty. As a group they are at risk for poor health, depression, social isolation, and institutionalization in long-term care settings, which can trigger traumatic memories of experiences during the Holocaust. The majority of funding for Holocaust survivor services comes from the Conference on Jewish Material Claims Against Germany (Claims Conference). Even with robust support from the Claims Conference, additional funds are needed due to the increasing age and frailty of Holocaust survivors; the number of survivors requesting care; the high cost of health care, housing and utilities; the expanding eligibility criteria to seek services as a Holocaust survivor; the need to serve survivors who are ineligible because they live in assisted living facilities; and the need to provide services in smaller communities where the Claims Conference cannot provide home care. The Fund for Holocaust Survivors, sponsored by The Jewish Federations of North America, will provide additional funds to bridge this gap. The intention is to help tens of thousands of survivors access services to improve their health, well-being, and ability to live in their own homes. To date over $17 million has been raised primarily through community-level fundraising efforts. 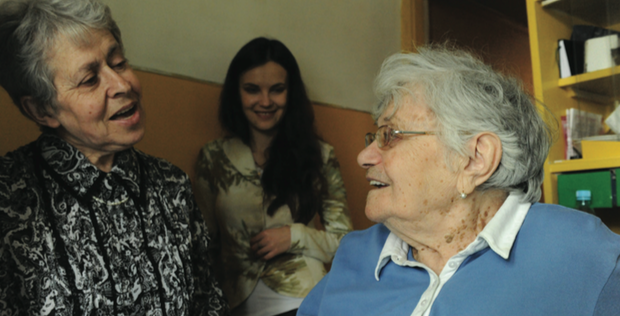 In addition, through the advocacy of JFNA, Congress has appropriated $2.5 million to help provide supportive services for aging Holocaust survivors living in the United States. Here in Rockland, $20,000 has been raised for the RUSH Initiative and funds are already being provided to help those in need, as identified by RJFS caseworkers. For more information on the RUSH Initiative please contact Rockland Federation’s Executive Director, Diane Sloyer at dsloyer@jewishrockland.org.